Springville City values transparency. 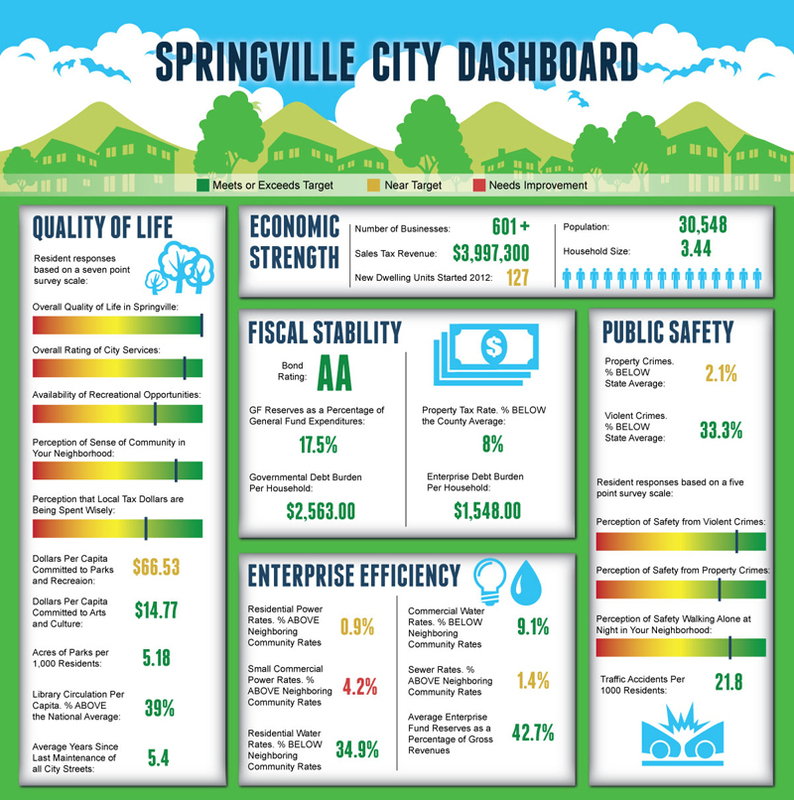 The following information is designed to give Springville citizens a view of how their city is doing from a high-level perspective. Additional detail on departmental goals and strategies, as well as metrics tracking progress towards these goals, can be found within Springville City’s budget documents. If you have any questions about the survey please call (801) 489-2700 or e-mail.